Van Ness Feldman’s land use planners work closely with the firm's lawyers in a rare, in-house collaboration. The synergy of this relationship produces unusually creative, cost-effective solutions that emphasize results over process. 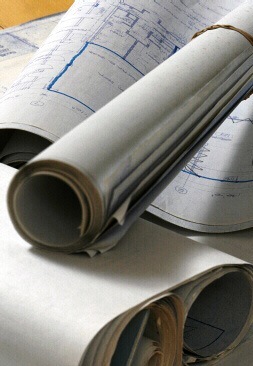 A full range of planning services includes strategy formulation and project management; feasibility studies and permitting alternatives; acquisition and management of entitlements; long-range planning, project expediting and implementation; regulatory due diligence and environmental compliance; code development advocacy; residential site plan and community design; and sustainable development and green building. Clients benefit from the planning team's unique perspective and diverse experience gained from years of service to both public- and private-sector clients. A deep understanding of public policy issues and the changing regulatory landscape allows the team to present clear options and honest assessments of risks and benefits. Van Ness Feldman emphasizes early, comprehensive regulatory analysis, careful permitting strategy formulation and permit expediting to help clients achieve their land use planning goals. Up-front analysis affords innovative or alternative permitting strategies that minimize cost, time, and uncertainty. The firm's planners are leaders in collaborative project management and permitting. Project management for development applications and master plans. Development of feasibility studies for due diligence. Preparation of regulatory compliance narratives and related documents. Land use entitlements and permitting. Shoreline, wetlands and environmentally sensitive areas permitting. Identification, review and coordination of technical studies and environmental documents. SEPA and NEPA analysis and compliance. Preparation of SEPA checklists and mitigations for threshold determinations. Presentations at public meetings and hearings. Coordination of efforts with agency staff and concerned citizens. Van Ness Feldman assists public and private clients with a complete complement of advice and services pertaining to planning processes and policy and code development. A collaborative approach with all stakeholders, including governments, elected officials, builders and citizens, helps achieve clients' goals effectively and efficiently. Van Ness Feldman offers a full range of community and urban design services to private and public clients to help create memorable, functional, walkable, people-friendly neighborhoods that respond to their site's natural and built context. Neo-traditional urban design and smart growth techniques.